Flip a coin. 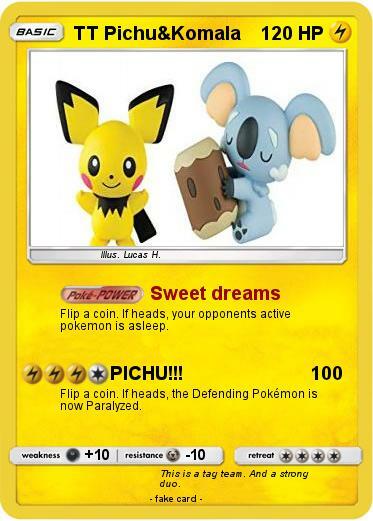 If heads, your opponents active pokemon is asleep. Comments : This is a tag team. And a strong duo.